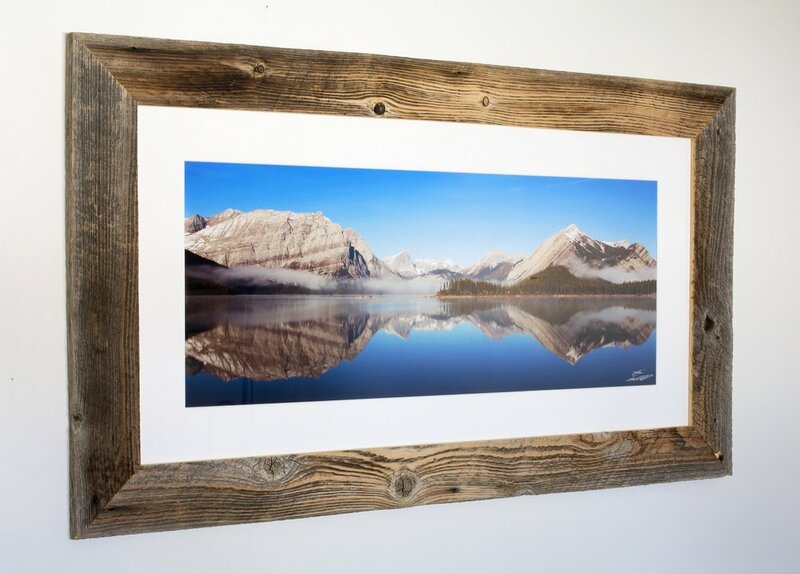 What started as a one time project trying my hand at framing a limited edition print using some rustic barnwood I got my hands on has grown into a full-blown love of woodworking and the launch of my custom framing business. I offer framing for a wide range of items using reclaimed, beautifully weathered old woods for a rustic feel, as well as creating frames with a more contemporary style by carving, staining and/or painting the wood to suit the piece and the style of its destination. I select the right wood and hand make every frame from scratch specifically for each piece, whether it’s for one of my own photographs or for a clients, so no two are the same. Working with people to complete their vision for the art and seeing it hung on their walls after is very rewarding for me and I’m always up for a custom request.